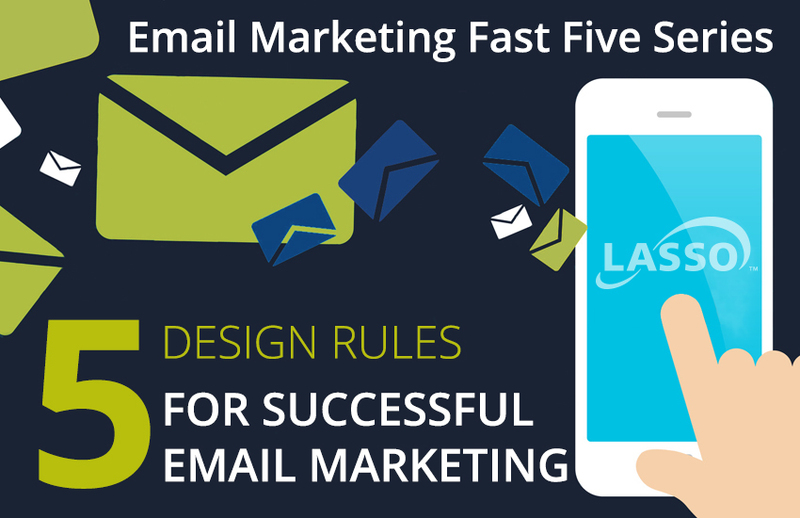 Lasso’s new bi-monthly blog series, Email Marketing Fast Fives, explores best practices in email design, list management, and deliverability in 5 easy tips per article. Email design doesn’t have to be complicated to be effective. In fact, the opposite is true. These days, communicating your message in a clean, distraction-free format leads to higher engagement rates from your readers. 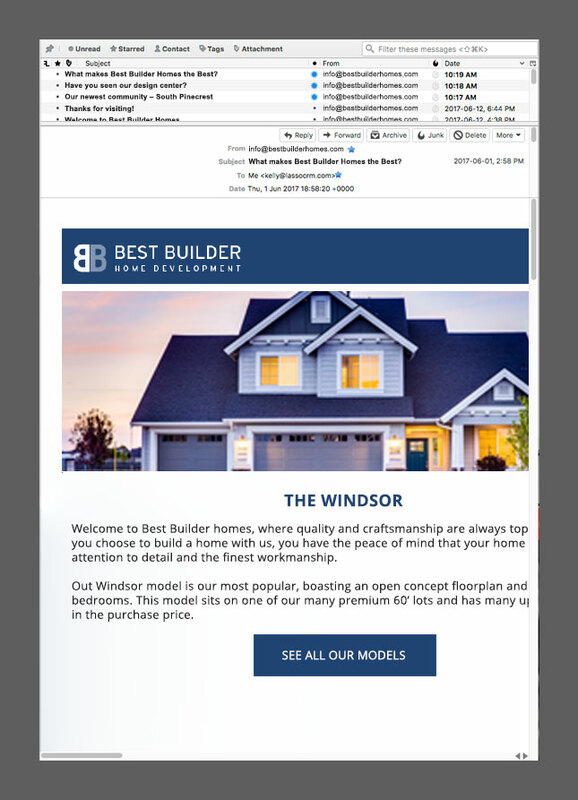 Below are five design rules that will make your email look better and easier to read – and you don’t have to be a designer to implement them! 1. Use separate images and text, rather than one jpg image. The three biggest reasons for this are: 1) Your email will not be responsive or render properly on mobile devices, 2) Some email service providers – Outlook, AOL, Yahoo – do not display images when a user opens email, and 3) it looks unprofessional and outdated. Instead, use a clean font that contrasts with the background of your email, along with separate images. 2. White space is ok. Proper use of white space helps to direct the reader’s eye where you want it to go. Not every space has to be filled with text or images. 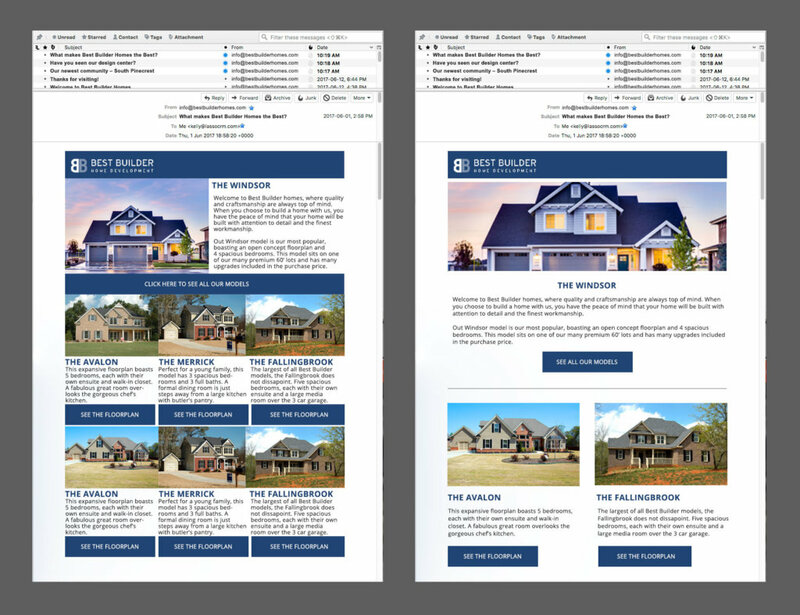 Examples of emails without (L) and with (R) enough white space. 3. Use a 1-column format for better mobile viewing. According to Litmus’ 2017 State of Email Report, 54% of all email is now opened on a mobile device. Email must be designed for the mobile experience. A good rule of thumb, if you are designing an email without professional help, is to use a 1-column format: text follows image. This way, even if no additional responsive code is added, your email will still look great on a cell phone screen. Each email you send should have a goal. Do you want people to register for an event? View a floor plan? Download a resource? Make it perfectly clear what action you want your reader to take by making the call-to-action button prominent and uncluttered. Make it big enough (200-300 pixels wide) and surround it with white space so that someone can easily touch it with their finger on a mobile screen. 5. Recommended email width is 600-700 pixels. Length is not as important. In this email example, the user must scroll right to see the entire email. For more information on email marketing, read additional tips on the Lasso Blog.